Android’s tethering options have been pretty stellar for a long time now, and Samsung has made a nice little addition to the menu by enabling the Galaxy S7 and Galaxy S7 edge to act as a Wi-Fi repeater/extender. Normally, the mobile hotspot feature (Wi-Fi tethering) only lets you share your mobile data connection with another device, with the other device connecting to your device through Wi-Fi. 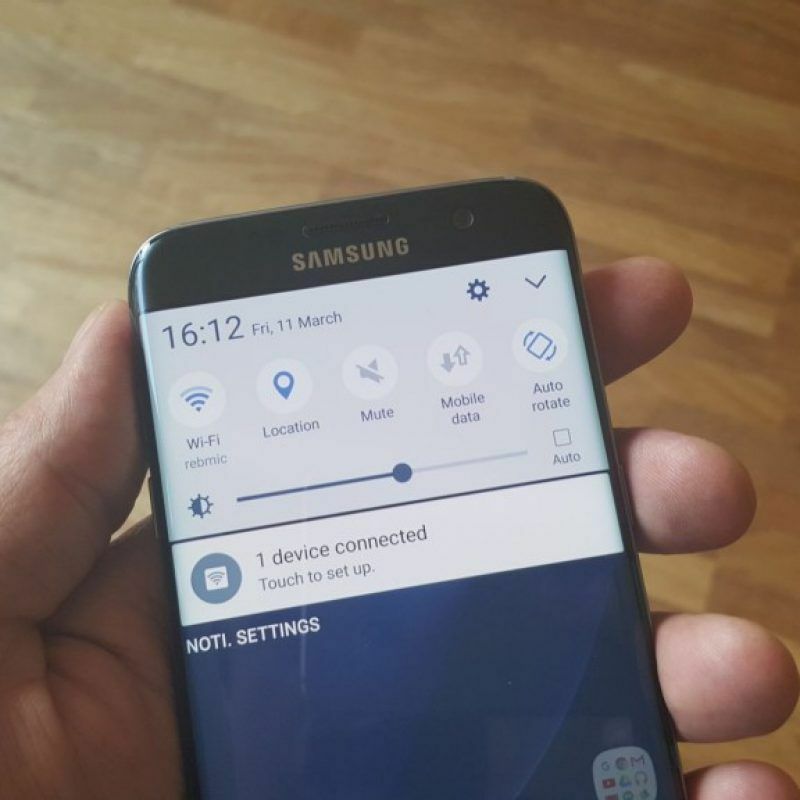 On the S7 and S7 edge, however, you can also choose to share your Wi-Fi connection through Wi-Fi with other devices. It’s a nice feature to have during the times you have your phone connected to a Wi-Fi network but can’t connect another mobile device or a PC at hand to the same network, either because you don’t know/have forgotten the password or… well, that’s the only use case I can think of off the top of my head. In case you need to share your mobile data connection, you can turn off Wi-Fi sharing under the MORE tab in the Mobile hotspot menu in Settings » Mobile hotspot and tethering. It’s worth pointing out that this feature is exclusive to Samsung’s new flagships; you won’t find them on the Galaxy S6 lineup or the Galaxy Note 5 even if they are running Marshmallow. Just so you know, it’s not available on the Galaxy A 2016 lineup either, but it’s possible Samsung will bring it over through future updates.